Would Jaco Pastorius have been so innovative without great finger style technique and the use of harmonics? Can you imagine a Red Hot Chili Peppers song without Flea's slap bass? Or how about Primus without Les Claypool's quirky slap and tap technique? 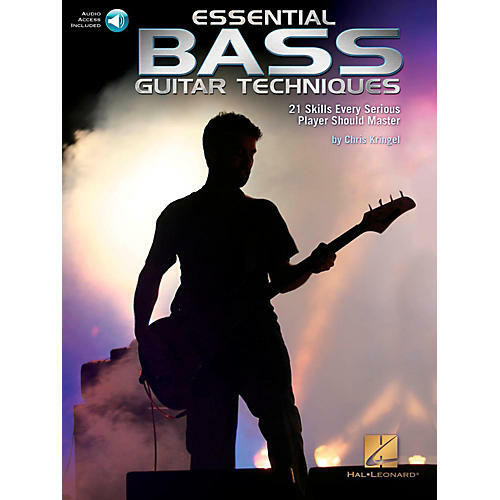 Essential Bass Guitar Techniques teach you all of these skills with carefully crafted exercises and inspiring musical examples, which are featured on the accompanying audio. If you're tired of faking your way through your favorite songs because you've always neglected to learn that one special technique, you need this book. Stop skipping over the intricate details and start sounding like a seasoned professional!